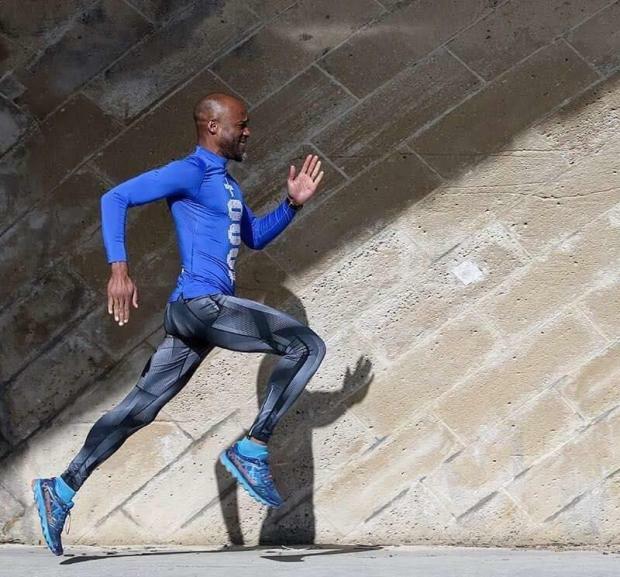 LifeCycle (Malta) Foundation has been selected as the Malta-based charity that French half-marathon runner Wilfred Palcy will be supporting when he will be running his Malta leg in Żurrieq on Saturday at 8.30am. Palcy will join runners from Żurrieq Wolves Athletic Club and other from various clubs in Malta for a half marathon run. Departing from the Żurrieq parish church square, the Running1000+ Malta edition, supported by Holiday Inn Express, will also go through Qrendi, Mqabba, Kirkop, Safi, Ħal Far and back to Żurrieq. A group of cyclists from LifeCycle will accompany the athletes. The donations that Palcy will be collecting will go towards raising funds to help renal patients in Malta through the LifeCycle Foundation. As part of the Running1000+ challenge, Palcy has set himself the extraordinary target of running 60 half marathons in 60 European cities in 120 days in aid of a charity of his choice in each of the selected 60 cities that are designated European Capitals of Culture. He is both the founder of Mootivaction, a firm that provides corporate coaching and training, and also a certified trainer of an established method called the Process Communication Model (PCM). The French athlete is not new to such challenges. A previous similar one in 2016 saw him running 52 half marathons in the same number of weeks which took him to the US, Asia, Australia and Africa. Running1000+ (https://www.running1000plus.com/ ) is a unique concept that is involving groups of runners from different cities. Palcy kicked off the Running1000+ challenge in Paris on Saturday, March 3 and will conclude it in the French capital on June 30, for a combined total of 1,260km, practically one half-marathon every second day. Palcy is bringing together groups of people from each respective city to compete in a 21km race. Group sizes tend to vary from small groups to regional communities. “I am looking forward to doing the Malta leg of my challenge this Saturday as I’ve learnt that Malta has a great history, and moreover the Easter period is perhaps one of the best and most beautiful times to run in Malta,” Palcy said. LifeCycle Foundation’s mission is to raise money for life saving equipment in order to help persons suffering from renal failure, and to raise awareness about organ transplants here in Malta. One can donate via sms: 5061 7370 = €2.33; 5061 8920 = €6.99; 5061 9229 = €11.65; or via a call to 5160 2020 = €10, 5170 2005 = €15; and 5180 2006 = €25. Bank details are Swift code VALLMTMT, IBAN number MT 18 VALL 22013000000014814521017, Bank name Bank of Valletta, Account number 14814521017. LifeCycle founder Mr Alan Curry is encouraging the public to donate to LifeCycle and to look out for Palcy at the Żurrieq Half Marathon on Saturday, and give him and all the other participating athletes a big cheer.